30 Bananas a Day - Forum for discussions on high carb raw vegan lifestyle. Beyond Vegetarianism - Reports from veterans of vegetarian and raw-food diets, veganism, fruitarianism, and instinctive eating, plus new science from paleolithic diet research and clinical nutrition. EarthSave International - EarthSave, founded by John Robbins, promotes food choices that are healthy for people and the planet. Happy Cow's Global Guide to Vegetarian Restaurants - Provides vegetarians around the world with vegetarian and vegan healthy restaurant dining and a directory of natural health food stores. International Vegetarian Union (IVU) - Promotes vegetarianism throughout the world. For the purpose of membership of IVU, vegetarianism includes veganism and is defined as the practice of not eating meat, poultry or fish or their by-products, with or without the use of dairy products or eggs. Meat - The site the meat industry wishes the vegetarians didn't own. Regina's Vegetarian Table - This site features a listing of all the recipes featured on this PBS show hosted by Regina Campbell. San Francisco Vegetarian Society (SVFS) - A non-profit organization that has been working in the Bay Area for over 25 years promoting a vegetarian diet as a healthful and humane way of life. Vegan - Vegan information updated daily. Vegan Action - A nonprofit grassroots organization dedicated to educating people about the many benefits of a vegan lifestyle. 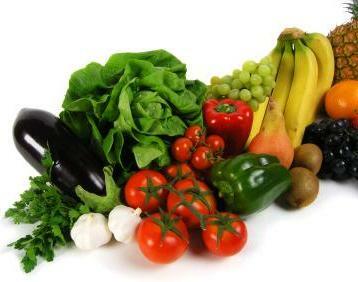 VegeCyber - Vegetarian online food store. VegDining - Online guide to vegetarian restaurants around the world. Vegetarian Recipes - Vegetarian recipes and cooking advice. Vegetarian Resource Group (VRG) - VRG is a non-profit organization dedicated to educating the public on vegetarianism and the interrelated issues of health, nutrition, ecology, ethics, and world hunger. In addition to publishing the Vegetarian Journal, VRG produces and sells cookbooks, other books, pamphlets, and article reprints. Also, see the VRG Vegetarianism in a Nutshell: Handouts and Guides. Vegetarian Times - Magazine for vegetarians. Vegetarians in Paradise Monthly - Los Angeles monthly providing information to the vegetarian community. Veggies Unite - Resource guide to health vegetarian/vegan living. VegNews - Vegetarian news, recipes, city guides, book reviews, practical advice. VegSource - Over 10,000 vegetarian and vegan recipes. Discussion boards, nutritionists, medical doctors, experts, authors, articles, newsletter, a community of people sharing an interest in health, diet and the planet. Viva la Raw - A 501(c)3 non-profit charity , is dedicated to raise awareness, provide education and teach skills to anyone concerning an environmentally sustainable, spiritually fulfilling, socially just, health-giving, raw foods lifestyle. The Viva La Raw Project supports scientific research, initiatives, and organizations that significantly increase quality of life, nutrition, healing of earth, air, and water embodied by this lifestyle. We Like It Raw - Raw food lifestyle guide. This webpage last updated on Saturday, October 29, 2016 6:51 AM.